Little white lies happen. I always thought little white lies were innocent twists on the truth. Failing to tell a little white lie could expose information that might do more harm than good. What I’ve learned, though, is that having an understanding of the little white lies makes me a better parent advocate for our daughter. The promise of public education means I always envisioned our daughter would go to public school, and it never crossed my naïve mind that we couldn’t make it work. It’s public education! When our daughter was in pre-K and kindergarten, we signed up for the lottery in our school district. We did not get any of our choices, so we enrolled her in a private Montessori school and went on a waiting list. Eventually, all of our daughter’s friends got into one of their schools of choice. However, once our daughter had an IEP, we were told she was no longer eligible for the lottery or any of the magnet schools. Um, what about that right to public education like the other kids in the district were experiencing? I’m not an attorney so I won’t comment on a free and appropriate public education (FAPE), and how it is covered under the Individuals with Disabilities Education Act (IDEA). I don’t have that information. What I do know now, is that an “appropriate” public education is not a given. A free public education is a given, but it may not be the education your kid needs. It’s not egregious or irreparable. Just a little white lie. Fortunately, we could make it work at a private school, but what about reading services? While we received services at our daughter’s school, they were remedial reading services. What this means, is that there were no services specifically recommended for kids with dyslexia or reading differences. I shudder to think what our daughter’s future would be if we couldn’t figure out how to pay for the necessary services or navigate the complex school system. Some experts research the dyslexia school to prison pipeline, which demonstrates the consequences of not teaching our kids to read are real. Just as many parents trust that when they send their kids to school, their kids will be safe, parents also presume the education system will teach their kids to read the way they need to learn. Most, if not all, teachers want this, too. The education system offers a little white lie by saying they teach kids to read — believing them could be scary. At least it was for us. It is easy to blame the teachers, but they can’t teach what they have never learned. It begins upstream, and that is higher education. Higher education needs more resources and solutions to train teachers so they are prepared to teach all kids to read. If that happens, the K-12 education system won’t have to keep telling little white lies. Nobody likes to tell little white lies, but that’s where we are. 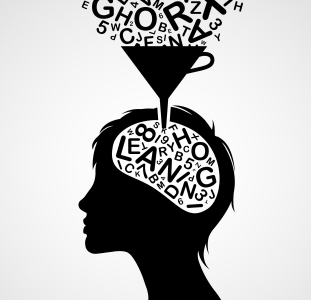 What would you do to change the educational climate of teachers and/or the kids they teach with dyslexia? A VERSION OF THIS POST ORIGINALLY APPEARED ON TEACH MY KID TO READ.